For this week’s Theme Buffet (Facebook group linked here) I decided on a solar flare. I tried water-spotting for the first time. It did not come out exactly like the tutorials show but I think it really encompasses the flare-like feel. I really want to try this again with an ocean/water color scheme! I used two coats of Color Club Almost Famous! and one coat of Sinful Colors Chick Chick as my base. I water-spotted with Sephora by OPI Mr. Right Now, Zoya Cheryl, Cult Nails Captivated and Color Club Wham! Pow!. I used two very generous coats of Seche Vite to even everything out before topping off with a coat of INM Northern Lights for a sparkling finish! 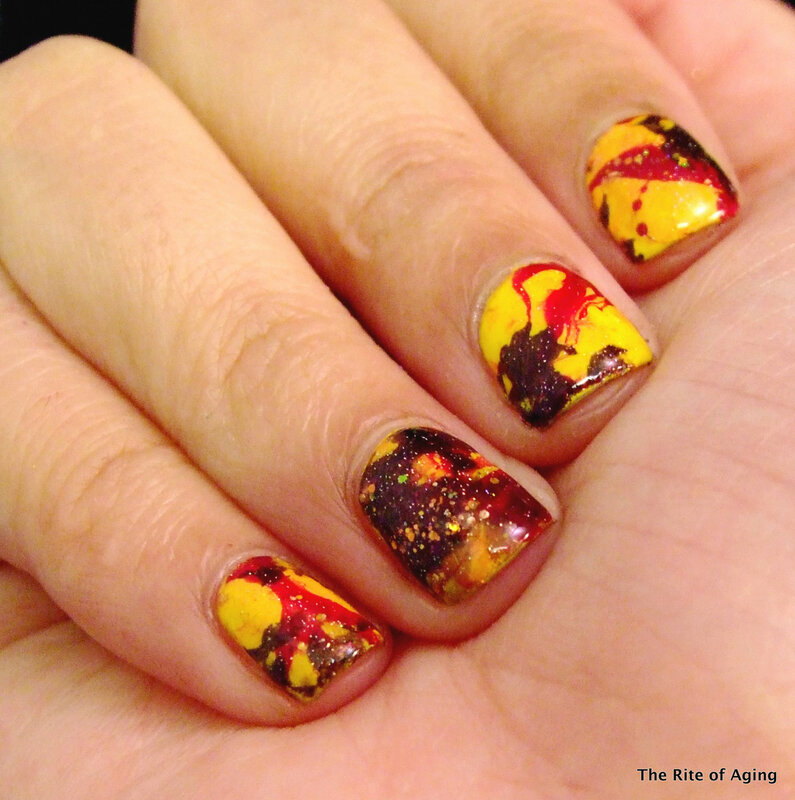 Check out the other manicures for this week’s theme! Thank you so much!! I just wanted to let you know for one of my nail art designs I took inspiration from one of your designs! 🙂 I hope you like it! Which one? Did I miss it? Oh sorry! It’s for today which I am still working on :). I’ll link it to the nail art on your blog when I’ve posted it! 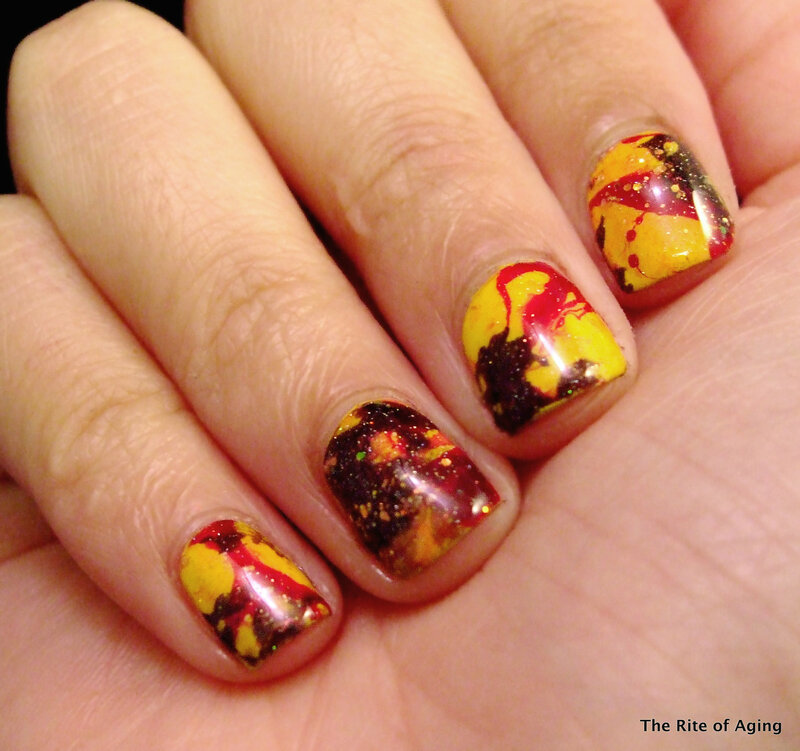 Before I read the post, I saw the mani and thought: what is that, an exploding sun? I’m glad I got the image across 🙂 Thank you so much! !